Hooray!! 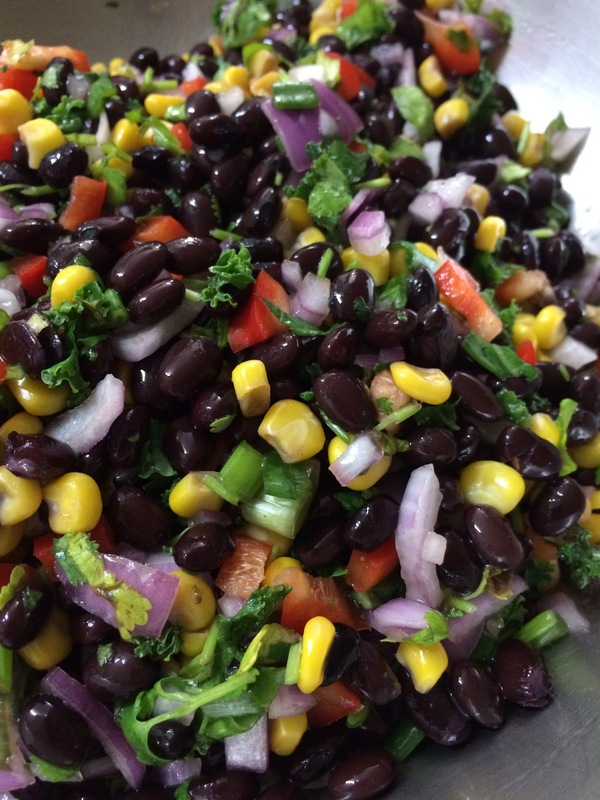 There are so many healthy and delicious salads to make it is hard to choose, but if I want a substantial meal out of a salad, Southwest Black Bean Salad is one of my go-to meals. Rich in protein, complex carbs, and fiber this superfood salad should be on everyone’s summer menus. I prefer to cook my beans fresh. 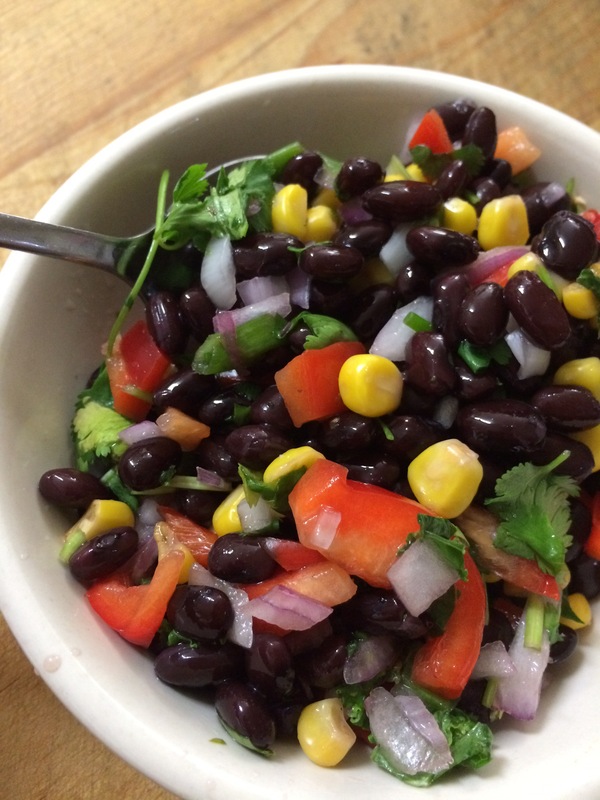 I don’t like the idea of my beans being pressure cooked in a tin can which is what you get from the grocery store, so I will cook up a big batch then freeze smaller portions for later use making dishes like this one a snap to make. 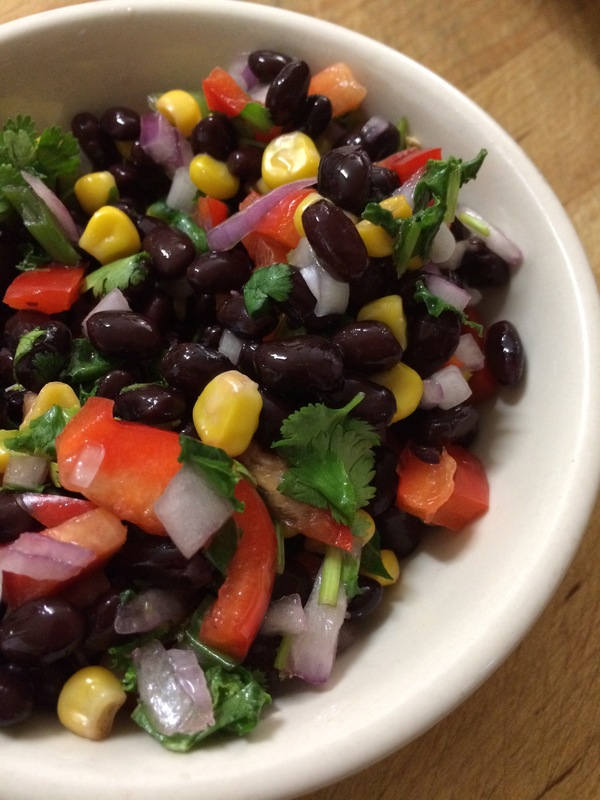 A healthy and delicious mix of raw fresh foods and cooked beans for a truly healthy and balanced plant based meal. Add all ingredients to a mixing bowl and mix well. Let sit for a few hours to let the flavors blend. Delicious in a wrap with greens, as a side salad with veggie burgers, or by its self as a meal. Previous PostPrevious Lilac Ice Cream! Next PostNext Mexican Inspired Raw Zucchini Salad!